Only Educated Girl child in a family of 22 Children! The future looks blurry when you grow up in a family of 22 siblings, three mothers with only one father. The woman has no say in the Maasai community and the boy child is always given priority when resources need to be allocated. Growing up in a male chauvinistic society, Magdalene Nkaai was concerned that her desire of going to school would never succeed. 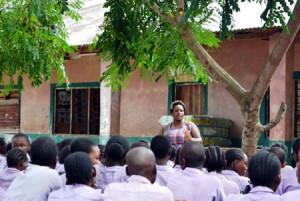 She had witnessed many girls her age endure early marriage, sexual harassment, Female Genital Mutilation (FGM) and even discrimination in terms of access to education. Her mother, who is the second wife, has five children and Magdalene is the fourth-born. In 2006, when Magdalene was 10 years old, she went through the process of FGM. She knew the next thing would be she would be married off. Fortunately, for Magdalene, the government of Kenya was offering free access to Primary School education and Magdalene grabbed this opportunity! Magdalene worked very hard while in Oldonyonyokie Primary School and managed to obtain 309 marks in her class 8 national examination. In a class of 7 girls, she was the only girl who aced her exams. “The rest all failed and most of them are married off or pregnant with many children.” as she reminisces. 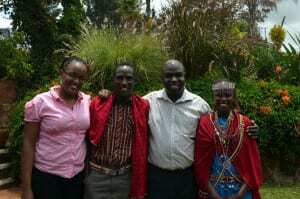 Magdalene Nkaai – extreme right posing with Evans Masese former HEART’s Kenya Director of Operations, a friend to Magdalene and Mary Mwaura, HEART’s OVC Program officer. Magdalene’s other sisters dropped out of Primary School because of early pregnancy and the father married them off. Her brothers, on the other hand, also dropped out because they had family obligations. Nevertheless, this did not discourage Magdalene from working hard. Magdalene’s father was quite impressed with her determination and decided to invest in her education. The father burnt and sold charcoal to raise money to send Magdalene to secondary school. However, this money was not sufficient. They decided to approach the local bursary fund for support, and she was fortunate to access some funds because of her exemplary work at school. Magdalene was then admitted in Noonkopir Girls High School, but tuition fee was very high and the father could not afford to pay for her anymore. The father tried selling some of his goats, but the drought in Oldonyonyokie had prevailed. Being the apple of her father’s eye, he approached family members to fundraise money for Magdalene. However, money was limited and the family members had needs of their own. In the year, 2013 Magdalene’s future looked dim and there seemed to be no hope of completing her secondary education. Money was scarce and her father thought it would be wise for her to drop out of school. Luckily, her primary school teacher, Patrick Sayianka, heard about her case and brought it forward to HEART. Through the support of Women Leader’s in Action (WLA), Magdalene was privileged to continue with her secondary school education. She obtained a grade of B- in her Kenya Certificate of Secondary Education (KCSE) in 2014. Magdalene is the only child out of the 22 siblings who has gone to school. She is indeed the pride of her family and the fact that she is a girl child! She would like to study for a Bachelor’s of Commerce degree. In the near future Magdalene would like to start her own business. Her desire is to mentor young girls in her community and support her siblings’ children in offering them a lifetime opportunity that she was offered and benefited from. https://africaheart.com/wp-content/uploads/2019/01/heart_logo600x155.jpg 0 0 admin https://africaheart.com/wp-content/uploads/2019/01/heart_logo600x155.jpg admin2015-10-15 14:53:372016-08-03 18:05:09Only Educated Girl child in a family of 22 Children! Getting pregnant at the age of 14 years and married off at just after completing class 8 was a nightmare for Susan Nyambura. Her mother decided it was better for her to get married than continue with school since she was pregnant. Susan and her family were living in Mathare slum and life was difficult for them. Nine months after Susan gave birth to her first-born child, her mother married her off to a man she did not know. She had to learn to cope with this strange man and this new journey of motherhood and marriage. Months into marriage, Susan’s husband began abusing her physically and emotionally. Her husband started drinking on a daily basis and sleeping with various women in the neighborhood. Susan bore three more children with her husband hoping the abuse would stop. However, things became worse and he would drink heavily and chase Susan and her children out of their home. There were times Susan would ask her children to go play at the neighbor’s house to get food to eat during dinner. In 2002, when Susan was pregnant with her last-born daughter, she discovered she was HIV+. This was traumatic for her! Susan sunk into depression and she tried telling her husband about her status but it was in vain. The abuse worsened and Susan decided to walk away from the marriage. She went to her mother’s home for solace but her mum chased Susan away once the family discovered she was HIV+. Susan decided to begin a new life with her four children. She moved to a slum called Gituamba in Nairobi where she began paying rent of Kshs. 200 ($2) per month. She worked as a casual laborer in the community trying to make ends meet. In the year 2007, Pastor George, who lived in the community, introduced Susan to HEART and Vickie Winkler. This is when Susan joined the WEEP program. She was trained on tailoring skills while at the center and graduated from the WEEP program in 2011. Since she joined the WEEP program, her children have been educated through support from HEART donors. She proudly highlights two of her children are now working in Qatar and Dubai. 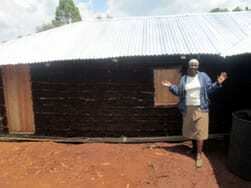 She now lives in a house where she pays Kshs. 4,300 as rent and can comfortably fend for her younger children because of the skills she learned at HEART. In April 2014 when her husband died of HIV and AIDS, Jane Nyambega became a widow at only 34 and was left alone to care for her 3 children. Her two sons aged 16 and 9 turned out to be HIV positive and thankfully her daughter 13 years HIV negative. After the demise of her husband, the family in-law accused her of killing her husband and tried to banish her out of her marital home. Nevertheless, she sought assistance from the area chief who heard her cry in January 2014 and directed the land to be equally divided among her brother in laws and her. Florence Barongo 53 years of age was widowed in May 2004 – her husband died of HIV/AID and left her to cater for their five children; 4 girls and 1 boy. After the husband’s death, her in-laws began troubling her life and family. During that period her mother in-law passed away and was accused of her husband and mother in laws’ death. A week later, her daughter Lorna disappeared from home – later discovered that she had been kidnapped and locked up in her uncle’s house. Well-wishers rescued and brought her back to their already troubled home. She disappeared again this time for one and half years and came back home pregnant and HIV positive. Her uncle had defiled her several times and introduced her to prostitution. In February 2013 Lorna passed away. Earlier, In October 2009, her in-law argued with Florence son and during the confrontation he stabbed him leaving him critically injured. Florence continued to receive awful mistreatment and threats – to either accept wife inheritance or get kicked out of the homestead. Florence was so devastated and decided to move out of her marital home to a rental house for the fear of her life and children. HEART partners and friends, Dr. Manu Chandaria and World Women Changers contributed resources towards the construction of a home for both Jane and Florence. Jane states that her children are sleeping in a safe and comfortable house unlike before where they were using sacks on the floor. “I am happy that I now own the best pit latrine in my village which I never dreamt of in my whole life. I had been using theirs but now I have gained the respect which I never had from them as a result of HEART’s assistance.” exclaimed Jane! Jane and Florence now have a haven called home and are actively engaged in various income generating activities such as tailoring, poultry keeping and kitchen gardening. 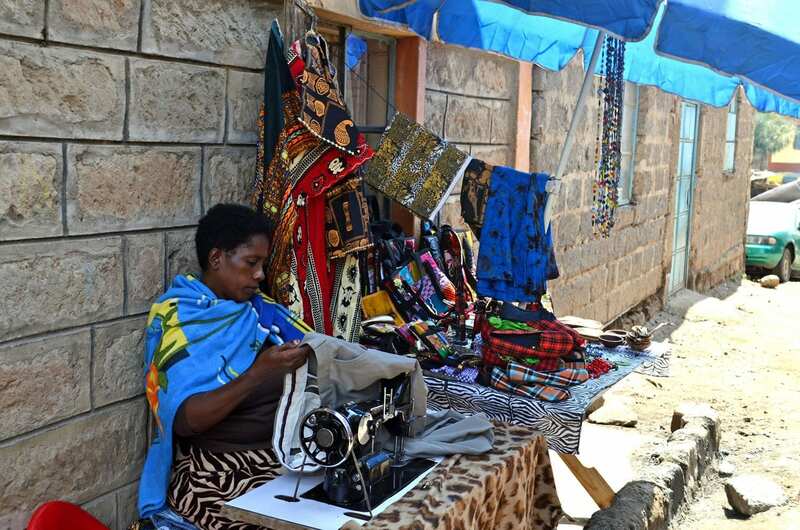 They now earn money regularly and are actively engaged in the Savings Internal lending community (SILC), where they get to save and borrow loans for their personal development. 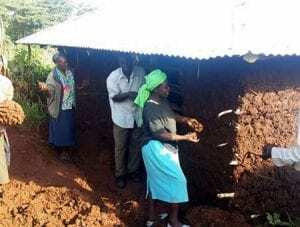 Riombasa Widows Self-help Group based in Kisii County ventured into greenhouse and fishing farming with the aim of supporting 15 caregivers and 20 orphans defying common misconceptions of farming in Kenya. Initially, the women began farming bananas and maize in their shambas (open fields). Unfortunately they recorded very low yields as a result of harsh climatic conditions, pests and diseases. It was at that point that HEART introduced them to the greenhouse farming concept. With the agronomy support from HEART, they planted tomatoes that did very well. A total of Ksh. 83,000(USD 1,000) was made from just selling the tomatoes! These widows are not only enhancing their nutritional status and improving their family livelihoods; they are also contributing to the national food security. 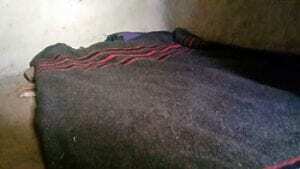 In Kisii, it is a taboo for a mother to sleep with her sons in the same room. One of the caregivers – Teresia Obebo and her 4 children were the case in point of this unthinkable act as she was living in a one roomed house with her 3 sons and daughter. However, thanks to Riombasa Widow Self-help Group who through the returns from tomato sales built her and her children a 4 roomed house in January 2015. These widows are now SET! They are Stabilized, Empowered and now Thriving! Freedom for Girls heads to Kilifi County!! The FFG Field Office provides a health education session. When the Kilifi Rotary Club President first contacted us last year regarding the FFG sanitary towel project, the breathless anticipation of a new partnership was undeniable! Working with the Rotary Club of Aylsham – UK, the Rotary Club of Kilifi joined forces with HEART’s FFG to launch the project in Matsangoi Primary School on 31 January, distributing 140 packets of sanitary towels to the girls. Attended by dignitaries from the Kilifi Ministry of Education, as well as Kenyan, American and British Rotarians, the event was an outstanding success. Following a great health education session from the FFG Field Officer – Ms. Lydiah Njoroge, the girls (aged 9-15) were really excited that they are now able to stay in school during “that time of the month”. Thank you to everyone who made it possible. Kilifi is located north and northeast of Mombasa. There are 160 primary school serving 154,484 pupils. 68% of population lives below poverty line and as a result many parents are unable to meet the expense of sanitary towels for their girls. admin https://africaheart.com/wp-content/uploads/2019/01/heart_logo600x155.jpg admin2015-02-10 09:53:092015-02-10 09:53:09Freedom for Girls heads to Kilifi County!! This is a special guest post by Africa HEART, a Segal Family Foundation partner, for World AIDS Day. After being voiceless for three days, I went the hospital and was diagnosed with a common cold. I was immediately put on medication, but my condition deteriorated. I decided to go back to hospital and I was referred to Kenyatta hospital (the National referral hospital in Kenya). Tests revealed my worst nightmare: throat cancer… and HIV. I felt my world crumbling down right before my eyes. I did not know what to do. After learning of my HIV status, my husband and family members abandoned me, leaving me helpless and weak. I still had three children to take care of and I had no income and no skill. I felt like my life was not worth living anymore. After 14 months of medical treatment, 7 surgeries and 1 month in ICU, I had to get my voice box removed and I discovered that I was also pregnant. I was discharged to recuperate at home. It was after this tough period that I lost my 10 month old twins daughter because the medicine was too strong for the babies and I had no proper medical care and not enough food or income to sustain my family. Fortunately, I met a lady named Mary Wanderi who introduced me to Africa HEART’s Women Equality and Empowerment project (WEEP) program that supports women living with HIV/AIDS who are abandoned and helpless. I was a bit skeptical about the idea, but later found out that the women in WEEP had gone through the similar experiences to me (or even worse), but they were still holding on to hope. It was while at WEEP that I met Vickie Winkler, founder of HEART. 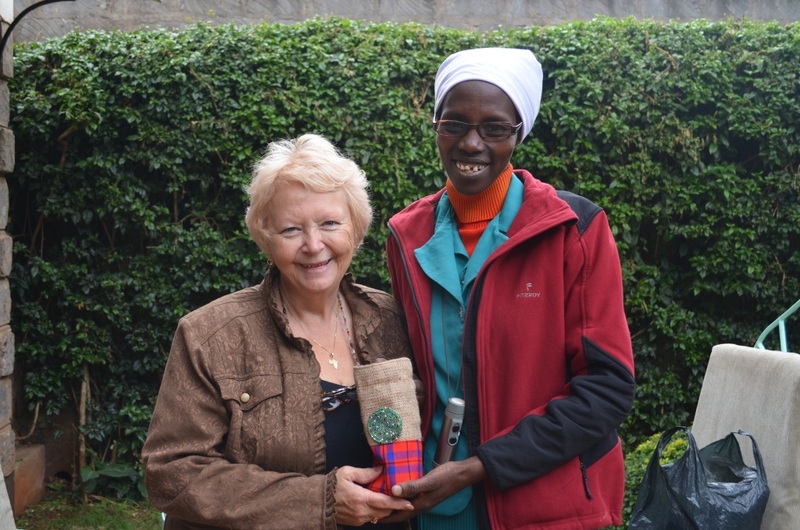 Dorcus showcasing a sample of her coffee bags, a source of income for her through the WEEP program. I found new hope through HEART! WEEP catered for my food, paid the school fees for my children, paid for rent and medication and began to teach me how to provide for my children. It was like a dream after all I had been through!I am so thankful to God for this program. HEART gave me emotional and financial support at my lowest point and has helped me build my skills and take care of my family. I have gained tailoring skills, graduated from the program and now own my business. I have now employed four people. I can now pay some of the school fees for my children and provide for their needs.